“It is a common misconception that all Personal Safety Items, including gloves are subject to and must meet all mandatory standards that are in place in Australia. But the reality is, as many standards aren’t legislated, some manufacturers choose not to apply certification to their manufacturing processes. The consequence being that the very product designed keep you safe, may not necessarily do their job as expected”. Impacts to the hand and wrist in the Australian Oil and Gas industry, and incidents resulting in injuries, work time losses and stress on injured party’s families are commonplace. Therefore, it is imperative that both employees and employers remember the importance the role that PPE plays – especially gloves as your hands are an important tool, which does not come with spare parts! For this reason, Elliotts, who have been manufacturing quality safety gear for over 40 years have worked tirelessly over the past two years with Richard Donarski and the SAI Global team to have ALL of the Elliotts Oil and Gas specific, impact protective gloves from the Mec-Flex range, independently certified to the AS/NZS2161.3:2005 standard. 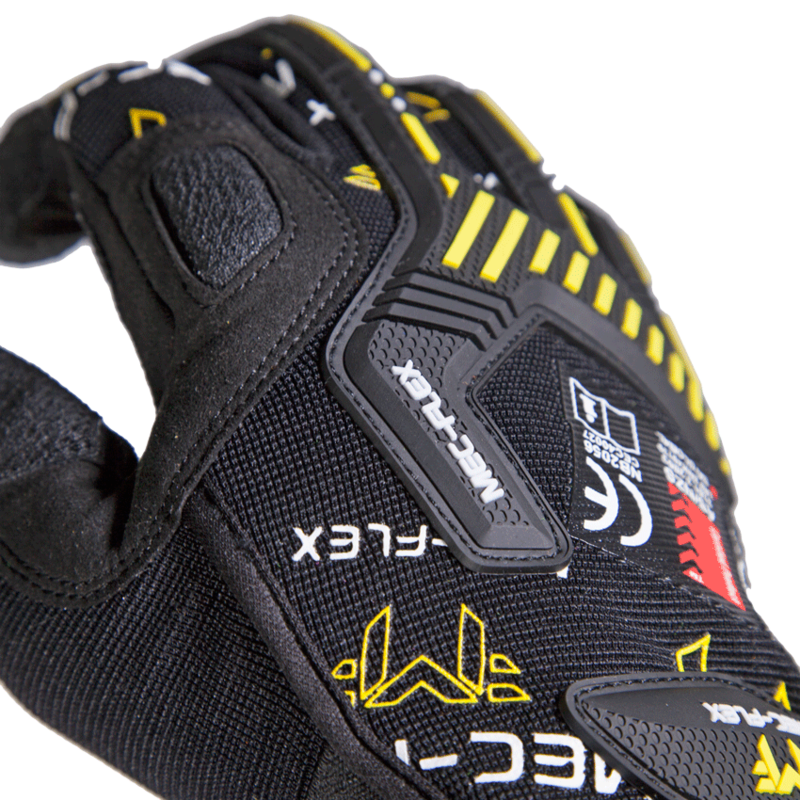 Designed specifically to protect the wearer against impact injuries, bruises and pinched fingers in the Oil & Gas and Mining Industries, the Mec-Flex® Oiler Series offers exceptional top of hand and finger protection with a palm design offering grip, high tear and excellent abrasion resistance. So remember, Personal Protective Equipment is the last line of defence – not the first – against many industry hazards, and is most effective when applied correctly to the hierarchy of controls and strategies implemented by workplaces to protect their workers.